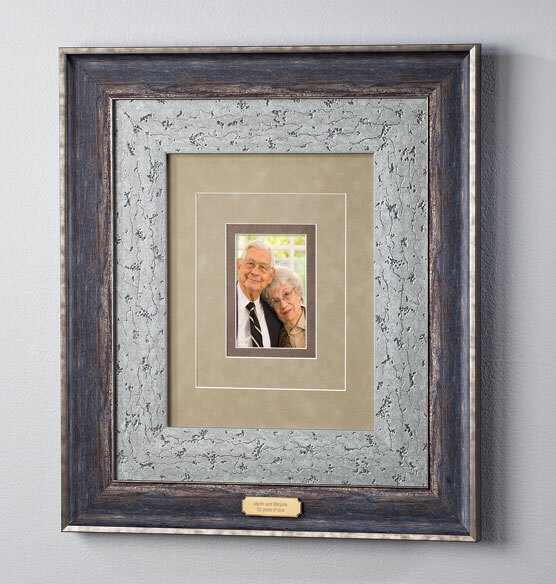 Rustic beauty and a personalized name plaque make this custom triple mat burnished nickel frame an ideal choice for commemorating a wedding, anniversary or other milestone. 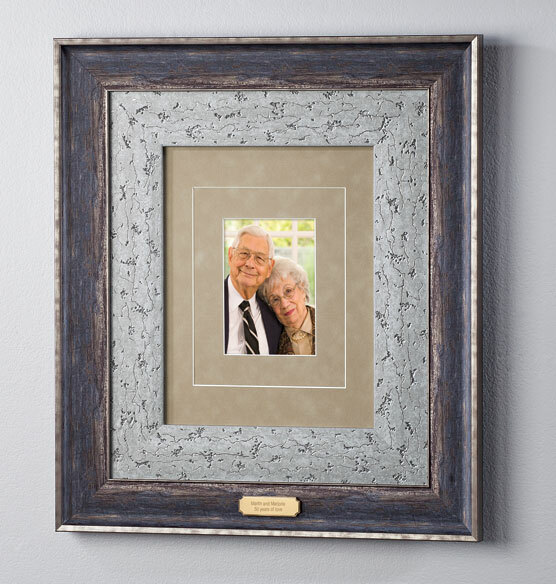 Crafted with exceptional quality and attention to detail, it can be displayed horizontally or vertically on the wall. 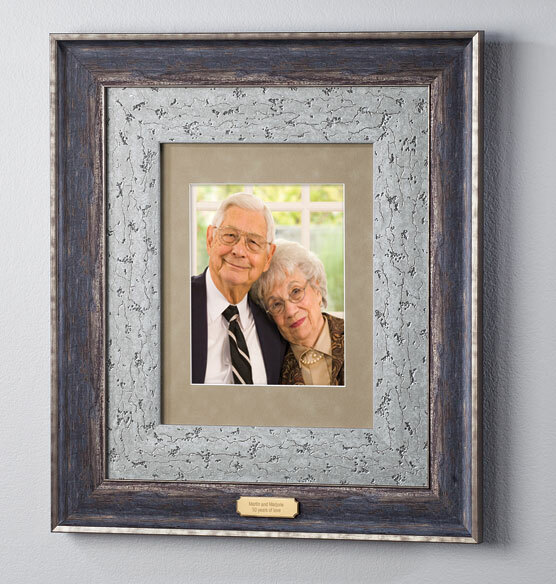 Personalize the bronze plaque with a message to create a special keepsake. 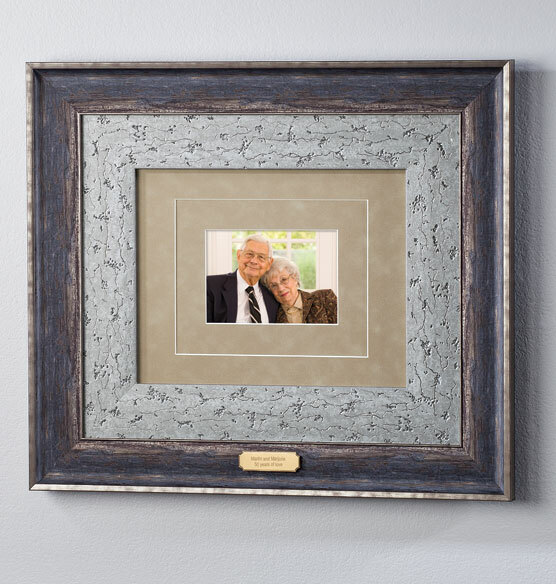 The three included mats offer the ultimate in flexibility, allowing the photo frame to hold an 8" x 10", 5" x 7" or 4" x 6" photo, depending on which mat is used, or an 11" x 17" photo without a mat.